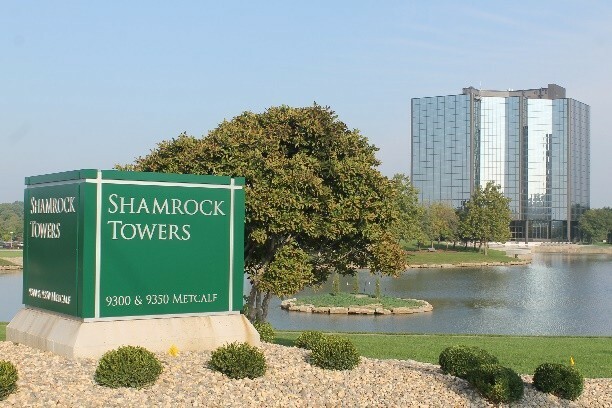 This renovation of the west Shamrock tower included both extensive interior and exterior building and site improvements. 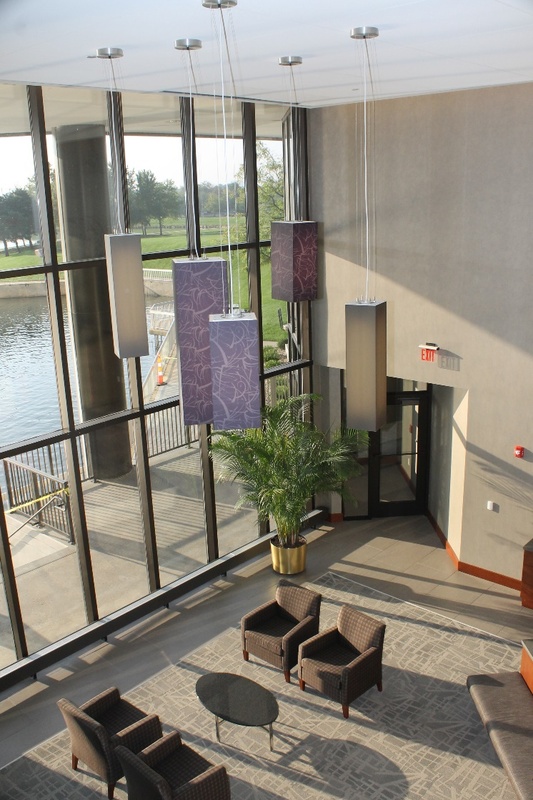 The project upgraded approximately 35,000 SF of interior space in the eleven story, 148,000 SF building including the expansive main lobby, executive conference areas, fitness center, open and private office areas and data center space over four levels of the Overland Park, KS landmark property. Exterior improvements included repair work to the buildings aged curtain wall glazing system, the removal and replacement of asphalt paving parking areas, concrete hardscape improvements and the expansion of the patio area overlooking the properties signature water feature. The project was completed in a single phase, fast track schedule to expedite occupancy due to the rapid growth of the business. Purdum Construction is currently in the finishing stage for the Providence Medical Center Nuclear Medicine and Digital Radio Fluoroscopy suites. 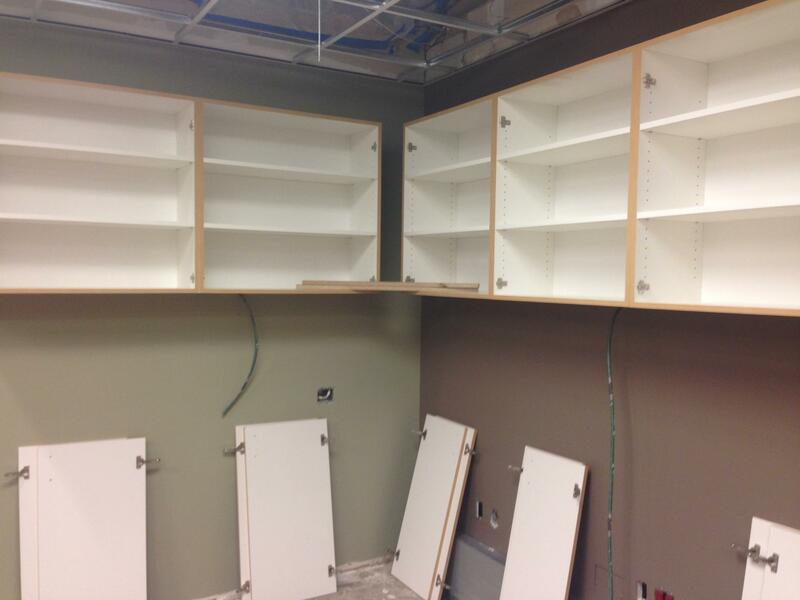 The existing suites were demolished in preparation for the installation of two new pieces of imaging equipment. The renovation consists of the reconfiguration of the existing room layouts, installation of new casework, flooring, finishes, and installation of new mechanical, plumbing and electrical systems. Like many of our renovation projects, the construction is being completed adjacent to an occupied and fully operational unit. Purdum maintained its tradition of using efficient coordination with our design team and the hospital staff to ensure timely project completion. 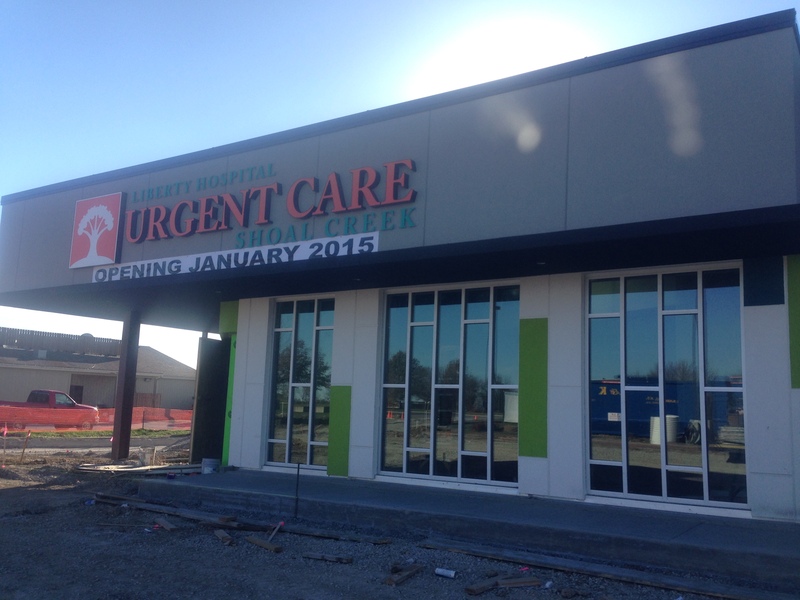 What used to be a Berbiglia’s liquor store will now serve as a brand new urgent care facility for Liberty Hospital. Shoal Creek Urgent Care, scheduled for completion in January 2015, is a 6,500 square foot facility that will provide healthcare services such as digital x-ray, minor procedures, physical therapy and general health exams. Built on the steel frame skeleton of an existing building, the new facility includes new hardscape and landscaping improvements, new exterior finishes and glass and a completely renovated interior. Purdum Construction is excited to be part of this project and is proud to help improve the community of greater Kansas City.